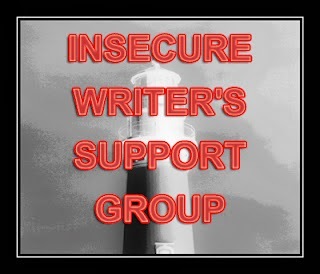 It's the first Wednesday of the month, which hails the regular arrival of the Insecure Writer's Support Group, hosted by Ninja Captain Alex J. Cavanaugh. The group offers a place for writers of all kinds to support each other in those ever-present moments of insecurity. While many use this as an opportunity to vent their frustrations, I realized early on that if I keep posting about my own insecurities, these posts will start sounding very similar. So I decided to move away from "woe is me" and focus on motivation and encouragement, centering my IWSG posts on inspirational quotes from people I admire. "Everybody walks past a thousand story ideas every day. The good writers are the ones who see five or six of them. Most people don’t see any." This is something that every writer probably gets around to worrying about at some point or another, and it's easily one of the most common questions I've seen posed by beginners: Where do you get all of your ideas? What if I don't have another good one? What if I've only got one good story in me? A lot of us tend to leap head first into a good idea when we've found one that's worth a commitment, immersing ourselves in the ins and outs of the story as it grows from the spark that inspired it. While this laser beam focus is generally a good thing, it can lead to those insecure thoughts and doubts when you're deep into a project and you know the end is just around the corner (particularly if we're talking about a longer work, like a novel). By indulging these thoughts, we make the Next Great Idea out to be some rare, mythical entity that only comes out when the moon is full and the planets have aligned. I throw the word "muse" around a lot, which might give some of you the impression that I'm one of those folks who thinks you've got to attune yourself to the right ethereal frequency to make good art. Rest assured I am not. When I refer to the muse, I'm really talking about the subconscious, the "muse-brain," if you will. I don't sit around waiting for the next epiphany when the current idea has run it's course, and I don't let my insecurities get the best of me. If the sponge has been squeezed to the last drop, that just means it's time to go back to the well. What well? Take your pick. They're all around you! Every facet of your life can be a wellspring of creativity if you look from the right angles. What's been on your mind lately? What problems are you tangling with? Does your job have you down? Have there been any wild developments in one of your personal relationships? If it's compelling enough to hold your attention, or better yet, steal your attention when you're trying to focus on something else, chances are it can become story fodder. It might even be a little therapeutic. If that still doesn't work, then turn your gaze from within to without. If you can learn to keep your writer hat on at all times, wherever you go, the world might begin to look a little different to you. What's that couple at the other table whispering about? How did that man get such a pronounced limp? Why is that dog off his leash? Before you know it, those whats, hows, and whys will level up and become what ifs. And the land of What If is where stories are born. You might be standing next to a great story idea while waiting in line at the grocery store, but you'd completely miss it if you were more concerned with arranging your groceries in the proper bagging order on the checkout counter. Let yourself look at the world, and you might be surprised what you find. So the next time you find yourself wondering how you'll be able to pull another good idea out of thin air, don't worry yourself too hard about it. Instead, take Orson Scott Card's advice. Get about the business of your life, preferably with your eyes open a little wider than they were the day before. Glad it made you grin, Kathleen. Sounds like you've got it down. Friends and family always make for good dialogue inspiration! Unfortunately, my writer hat never comes off long enough for me to get anything done, even writing! The characters talk, debate, find places where they kick off their shoes and enjoy whatever it is going on in my head at the time. Haha, that reminds me of an episode of Patrick Rothfuss's youtube show on Geek & Sundry, Story Board. He was talking about authors that let their characters run wild and comparing them to parents who don't discipline their children. Made me laugh! "...if you were more concerned with arranging your groceries in the proper bagging order on the checkout counter..."
After writing my first book, I worried that I would not have another "good" idea. But you are right, we shouldn't worry so much about having "the next big thing," but take time to notice all the stories surrounding us in our everyday lives. You're not the only one, Linda! Sometimes it's the worrying over the next idea that distracts us from all the good ones flying by. Oh, Ender's Game should be a movie!!!!!? Now, I'm excited. 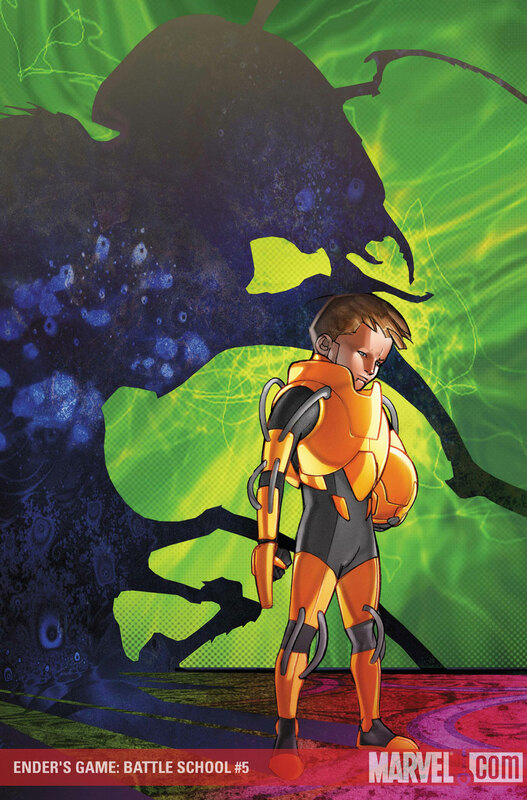 Can't wait for the Ender's Game movie. I hope they don't drop the ball. Massive potential. That's a problem I haven't quite mastered yet, T.! There's not enough time in one lifetime. Thanks for reading! "Let yourself look at the world, and you might be surprised what you find." Absolutely. Inspiration is everywhere if we have an open mind, and just like the Orson Scott Card suggests, sometimes it's harder to pick the fruitful ideas out of the swarm. Once we figure out how to tune out the distracting white noise, it's surprising how much inspiration is out there! It might be easier said than done, but once you open the floodgates, it's great! Thanks for the comment, Candilynn! I once wrote a short story about a coffee table...really! You're so right. Stop and look around every once in a while, there are so many ideas out there just waiting to be turned into stories! Mine come mostly from movies and shows, and a few from books. In other words, I'm usually pretty unobservant when just living my life. And I know if I plan to write anything else, that will have to change. Media is still a great source of inspiration, though. I've certainly been inspired by the great fiction in my life. Thanks for the comment, Alex! Very good advice! My ideas probably come from non-book sources (video games, actually, lol), but I imbue them with book ideas after the raw idea springs to mind. I'd really like to try to play a game where I just randomly think of a bunch of different ideas for stories and mash them up to see what I get. Totally funny stuff could come from that. Video games are a great source of inspiration if you know how to use them. And that sounds like it would be a pretty fun exercise, actually! Thanks for stopping by, Cathy! I love the fact that ideas are everywhere. So many ideas, wheeee! Isn't it great? The world is full of them! Thanks for reading, Deborah! I've read Enders Game and Scott is an amazing writer. Thanks for the advice. I'm a very observant person and this helps in developing characters and events in my books. You're welcome, Stephen, and thanks for stopping by! I agree, Orson Scott Card is a phenomenal writer.